We at Vitalia know that nothing is more important than family, so we’re proud to offer Naturopathic treatment options for your children. These include homeopathy, dietary counseling, nutritional supplementation, Bowen therapy, and other options. Just like you, we want to insure that your children can live the most vibrant life possible, and we believe that starts with a foundation of health and wellbeing. Vitalia Health Care is proud to serve the Vancouver area with pediatric services. Our goal is to provide natural, safe care combining naturopathic medicine principals with the benefits of Western medicine. Our naturopathic doctor try to avoid surgery and drugs, unless it’s necessary, and treat the underlying condition using preventative and natural medicine. This can often be accomplished through diet and other measures. What Is Naturopathic Pediatric Medicine? Naturopathic doctors are trained and licensed as primary care physicians who provide health care to adolescents. Doctors who focus in naturopathic pediatrics typically focus on children’s health care from birth to the age of eighteen. At Vitalia in Vancouver, we offer a wide range of services, from basic physical examinations to the treatment of both chronic and acute conditions. What Does Naturopathic Medicine Consist Of? Naturopathic doctors often use a combination of nutrient therapy, homeopathy, counseling, exercise, and lifestyle changes to help your child’s body heal itself. In some cases, a naturopathic doctor may prescribe traditional medications, such as antibiotics, to prevent conditions from worsening. However, naturopathic medicine aims to prevent masking the symptoms of the condition with drugs as this can result in more health problems. Therefore, the goal is to diagnose and treat the underlying problem. In a world where children are constantly exposed to toxins and pollutants found in the environment, naturopathic medicine can be highly beneficial. Higher levels of stress and modern day problems can result in chronic health conditions, repeated infections, allergies, learning disabilities, behavioral problems, obesity, asthma, and other diseases and disorders. At Vitalia, we choose an alternative medical approach to address and treat your children’s problems to prevent more serious problems in the future. What Can I Expect at the First Visit? During the initial visit to a naturopathic doctor, your child’s health history is typically discussed, as well as any nutritional, environmental, or genetic factors that could be contributing to the child’s illness. The naturopathic doctor will then perform a physical examination and may order laboratory testing before coming to a diagnosis. Naturopathic treatments frequently involve dietary changes to ensure that your child is receiving more or less of certain foods. 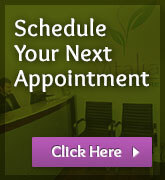 Treatment options, such as dietary counseling, Bowen therapy and other options may also be recommended by your doctor. 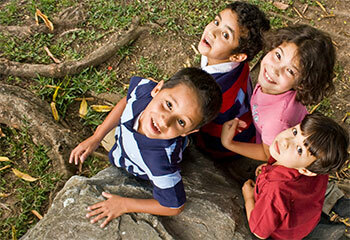 At Vitalia Health Care, we understand that nothing is more sacred than providing for the health of your children. Our naturopathic doctors are proud to offer natural, safe treatment options for the entire family – from birth and beyond. We offer a gentle approach to health, personalizing treatments in collaboration with you and your child. Many families are looking for a more natural approach to medicine. Our natural therapies can be utilized with your current medications and have been found highly effective in treating a number of conditions in children for better health and wellbeing.